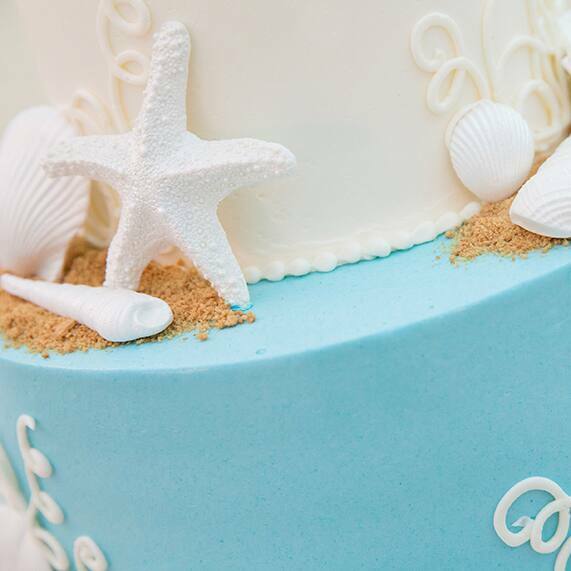 This week's delectable dessert was inspired by the calm, sun-kissed beaches of Aulani, A Disney Resort & Spa. 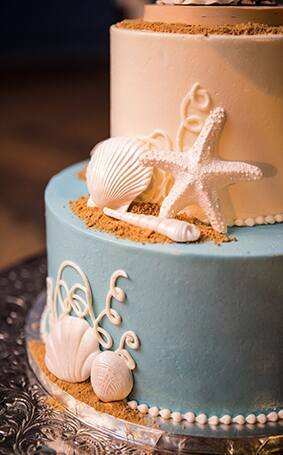 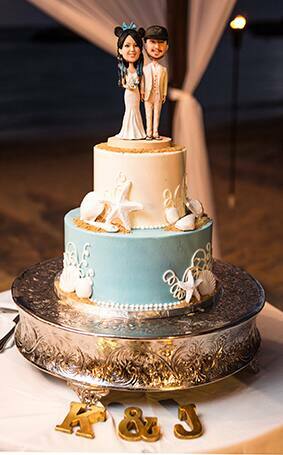 Delicate white seashells surround this two-tier beauty as well as edible "˜sand' that resembled the soft sandy beaches of the Oahu coast. 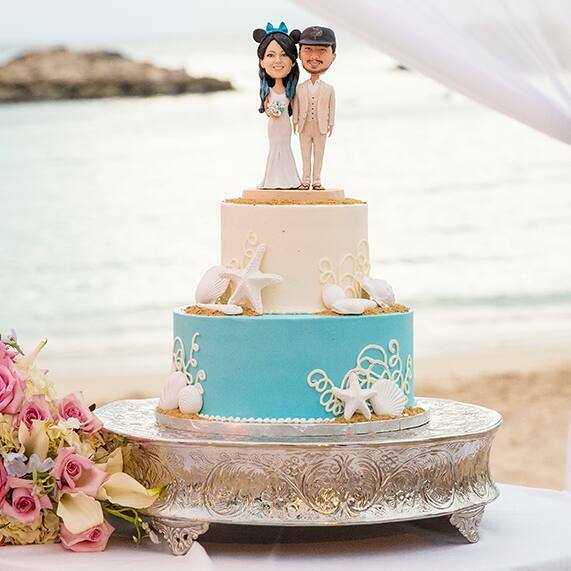 To top it off, a personalized cake topper of the bride and groom made this Aulani wedding cake the perfect fit for a celebration in paradise.